A mother who blames her teenage daughter's death on 80-year-old railway infrastructure believes more children will be killed unless it is updated. Taiyah Peebles, 16, was found dead on the electrified rail tracks at Herne Bay station in Kent on 26 July after a night out with friends. Network Rail said it is currently undergoing an "extensive programme" to improve safety. But Hayley Peebles said more must be done to prevent further deaths. 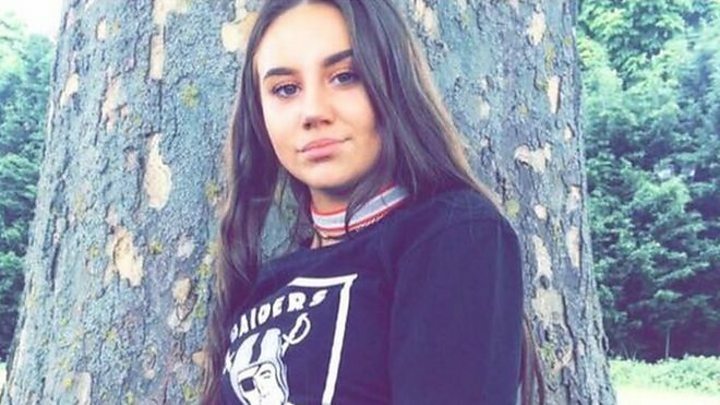 The teenager, described as funny, outgoing and popular, had gone to Whitstable for the day with her boyfriend and friends having recently finished her GCSEs. They caught the last train home but Taiyah got off alone. The next morning her mother saw Taiyah was missing and her fears were confirmed when she spoke to police. Ms Peebles said: "My heart just broke. I knew it was her. My whole world ended. I haven't got a life now, I just exist. "She was my best friend." More than 90 people have been killed on the tracks in the south east of England in the last five years. Railway operators in the region use the third rail system to electrify trains, rather than overhead rails. The rail is on the ground, parallel with the train track, and carries up to 750 volts. Andy Derbyshire, Network Rail's chief operating officer for the area, said: "We're working with British Transport Police and the Samaritans, going out to schools and youth groups to talk about the risk of the railways, we are assessing our higher risk sites and putting in level crossing barriers and fences." But Ms Peebles said "nowhere with 750 volts of electricity is low risk". "You can't get onto a building site without a hard hat and certificates, but you can easily wander onto a railway. It's too late for Taiyah, but I'd like to see overhead rails introduced... so her death won't be in vain. "She won't be the last child to die on a railway. You can't put a price on a life like that."